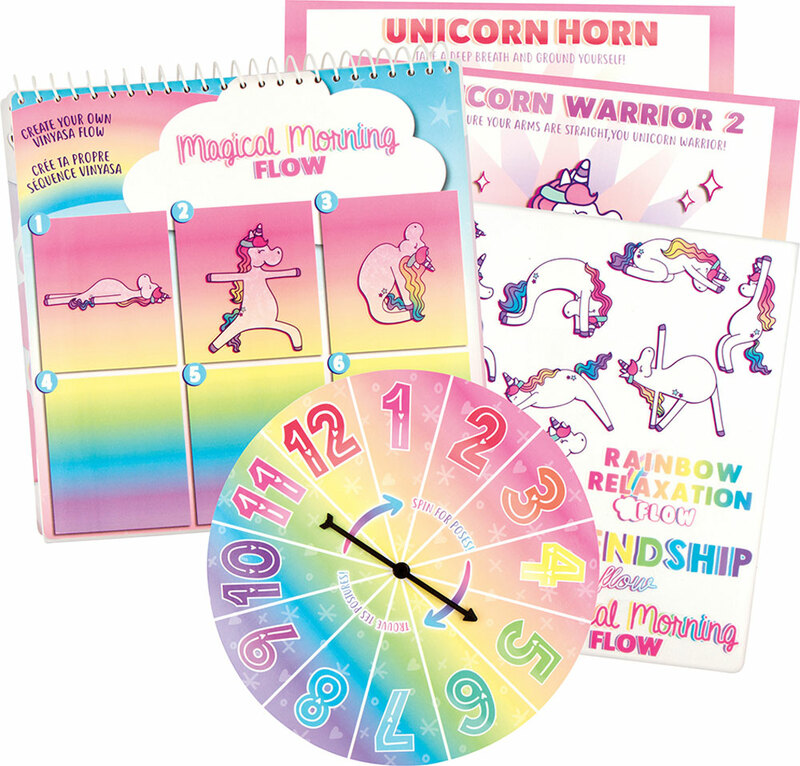 An introduction to mindful self-care, in the hands of an adorable unicorn instructor! 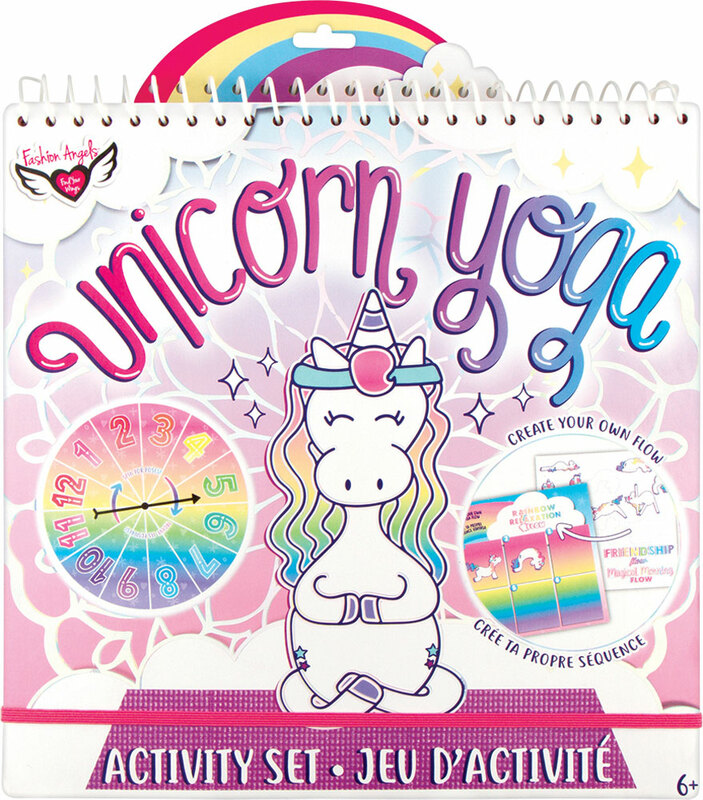 This spiral bound portfolio uses lively, funny graphics to illustrate 12 poses. 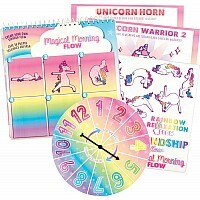 The spinner selects a bonus pose, and unicorn clings create motivation. 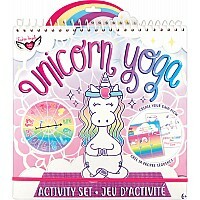 For ages 6 yrs-teen, from Fashion Angels.